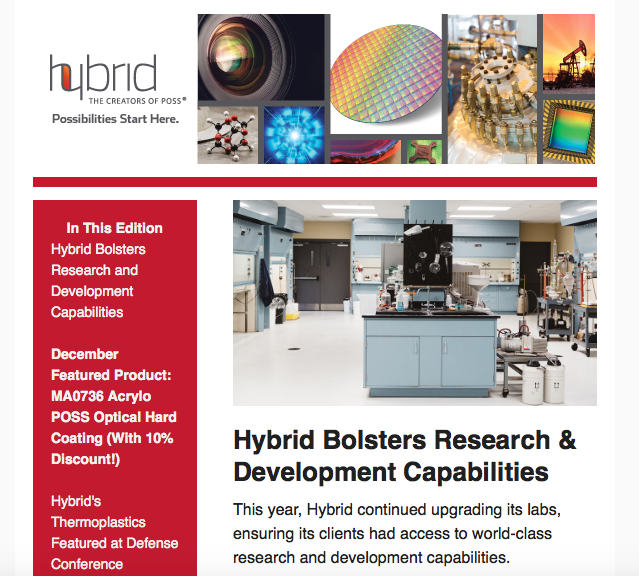 Hybrid released its December e-newsletter today. This month’s edition features information on Hybrid’s upgraded rheometric capabilities as well as recent presentations at POLYSI2016 and the Advanced Materials for Transformative Changes to the Defense Aerospace and Civil Environments Conference. The featured POSS product for this month is MA0736 acrylo hard coating. To view the December newsletter, click here.